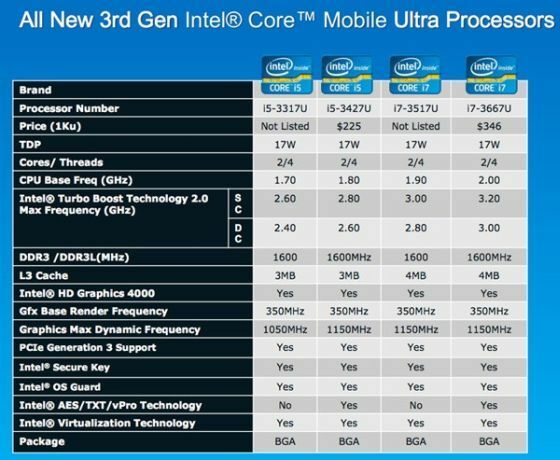 The first wave of Intel’s new Ivy Bridge processors, launched in April, included only quad-core parts for high-end laptops and desktops. Right on schedule, Intel released its second wave, which includes dual-core Core i5 and i7 processors. There are 14 new chips in total, eight of them laptop processors, including four that are ultra-low voltage. Up until now, we’ve only seen a few gaming and mobile workstation laptops running Ivy Bridge. Expect many more new and less expensive Ivy Bridge laptops to hit retail shelves soon (although the cheapest Core i3 Ivy Bridge laptops aren’t expected until the fall). It’ll also soon be a good time to look for an older Sandy Bridge laptop in the clearance section. There’s still no weight, screen resolution, display size, or price standards that would really help define the Ultrabook brand further. Hopefully PC manufacturers will follow Intel’s recommended (rather than required) suggestions for Ultrabooks--touchscreens, sensors, Intel Wireless Display (WiDi), and more than 8 hours of battery life--because those seem like ideal features.